The Planning System. How it works. The planning system can seem very complicated and almost incomprehensible to many people. Frequently people tell us that they simply don’t know how to engage with the planning system, how to have their voices heard and how to influence the decisions that are taken about how their city grows and changes. The aim of this article is to help try to explain how the system works for those that don’t want to get bogged down by all the official jargon. At the broadest level the planning system consists of 3 levels of plan: national, regional and local. The National plan is written by the Scottish Government and is called the national Planning Framework (NPF) This is reviewed every so often, and indeed at the time of writing has just finished putting together NPF3. That means work on NPF4 will start relatively soon. It is a continuous cycle. This plan sets out very high level policies for development that all the regions then have to adopt such as the national policy on renewable energy or encouraging mixed use development rather than single use areas (sub-urban sprawl that we are all aware of.) They also produce specific such called PANS which cover particular areas such as ‘Designing Street’ or ‘Designing Places’ These documents have a significant impact on how developments look and feel when they are complete. The next level of plan is the Strategic plan which dictates, in broad terms, where development will be concentrated. 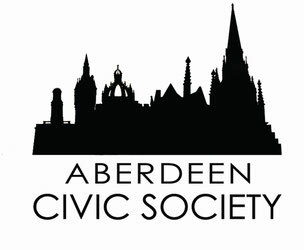 For example the Aberdeen City and Shire Strategic Plan dictated that development should be focussed into three corridors (Laurencekirk to Aberdeen, Aberdeen to Peterhead, and Aberdeen to Huntly) It provides more flesh to the policies that the National plan lays down and sets development numbers for the amount of housing to be provided in the region. Not every region of Scotland has this level of plan yet but they are being worked on across the country. The final level of plan, the local Council’s one, is known as the Local Development Plans. Each authority has to create one of these and they are reviewed regularly, usually every 5 years. These plans take the targets established in the Strategic Plan and allocate development to certain settlements or areas, provide the number of units that can be built there and go into much greater depth on the policies that will be used to determine whether development can be granted for these sites. This plan usually gets the most coverage and the widest consultation as it is perceived to have the most direct impact on people – this is not necessarily correct. Although it dictates where development should be, more often than not the more important decisions about how the development should look (height, mass etc) are informed by the higher level plans. What all this means is we all need to be constantly on top of the whole planning process and commenting all the way through from National Planning documents through to individual planning applications. Just commenting on an application can be far too late with both the principle of development and what it must look and feel like having been established long ago in either of these earlier plans. Now that we have covered the three levels of main plan we should take a look at how a Planning Application works and how we have the opportunity to comment and influence individual buildings or developments. Again there are different ways that this can happen and that difference is based on the size of the development, either in terms of house numbers or area of land used. Developments that are 49 units or less (or under 2 acres in total size) have far less requirement to consult with people than those that are larger. Let’s look at the requirement for each and how to get involved. Objections on the basis of policy are far more effective so it’s worth reading the Council’s policies on place making, window replacements etc. They’re not particularly exciting and gripping narratives but they can be useful. This is where it pays to have engaged with the policy making and reviewing much earlier in the process. Larger applications: The larger applications have a much more rigorous consultation requirement. The applicant must first submit what is known as a POAN to the council. This stands for Proposal of Application Notice. It is essentially a ‘heads up’ that something big is coming. They are not allowed to submit any application for 12 weeks post this and during this period they must undertake a public consultation exercise. These consultations vary from applicant to applicant with some doing the bare minimum and others doing substantially more than is required. The bare minimum is to place an advert in the local press informing people of a consultation event. The wording for this advert is basically scripted in legislation and tells people what is being consulted on, where and when. It also makes it clear than any representations made at this stage are to the developer and not to the council themselves. The consultation event itself usually consists of the developer showing some plans and asking for feedback on them. They then go away and create a report that lists all the feedback that they received and responds to it, either by making changes to the plan or by explaining why a change has not been made. This forms a Pre-Application Report that is submitted as part of the full planning application and tells the Council that the developer has undertaken ‘meaningful’ consultation on their proposals. Some developers go to much greater lengths and hold multiple events, sometimes starting with a blank slate and advertising far and wide to get as many people involved as possible. In this process you have two or even three different times to make representations and influence an application. The first is during the consultation events themselves. Keep an eye out for them and attend the events that are important to you. Make your opinions and local knowledge known. It helps designers design better places. The next opportunity may be when an application is made for Planning in Principle (formerly known as outline planning) is submitted. These applications have very little detail but establish the principle of development in an area bounded by a red line on a plan with an indication of where building may be situated and how it will be accessed. It may also cover the environmental impact of a site, the road layout, the servicing etc. Make comment at this stage if you can, as once a development has planning in principle then it is all but guaranteed that development will happen. The final opportunity is to comment on the full detailed application. This is sometimes submitted at the same time as outline if a developer wants to start with a smaller phase of a much larger plan. This type of application will have building designs, landscape designs etc and goes into a lot of detail. There is sometimes scope to make small changes to these through representation but by the time you reach this stage in the process there has been a fair bit of consultation and it is unlikely that much can be influenced. Again you can lobby your elected members if you feel strongly about a particular application and if enough people do that then applications can be turned down, however, if a site has been allocated in a local plan and if a Planning in Principle has been granted then the developer will simply tweak their application and submit it so it can be passed, or they will appeal the refusal and a Scottish Reporter will examine it. If the application complies with all policy they will grant it planning permission. Again – it comes back to the fact that we must all engage much earlier on the policy level, both nationally and locally. It may seem like a lot of work to keep on top of all of this, and indeed it is, however, if you want to influence how your Cities and Towns grow then it is important that you engage at each and every level of the plan making process and keep repeating yourself at every level of engagement too. It is not enough to simply say your piece once at, for example, a Local Development Plan initial consultation, and think that that is it. You need to repeat your comment at several stages of the plan process that come afterwards up until that Local Plan is formerly adopted and onwards into the next cycle. Hopefully this summary of the planning system has been useful to you and will help you to engage with your local planning system to ensure that your town or city grows the way you want it to.